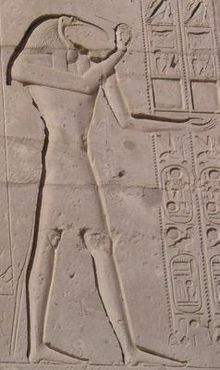 Thoth, once an Atlantean King-Priest, also the Mood God of Spiritual Science and Magic and Scribe of ancient Egypt, presents us with a full moon blessing for purifying and increasing the light quotient of our body. He asks that we read and tune-in to these words from the Emerald Tablets using our third eye chakra, allowing our pineal gland to connect energetically to the Halls of Life. You may feel heat rising up your spine as your ascension flame is ignited to transmute and transcend the ‘darkness’ remembered by your soul and in turn infused into your body. Deep in the Halls of Life grew a flower, flaming, expanding, driving backward the night. Placed in the center a ray of great potence, Life giving, Light giving, filling with power all who came near it. Placed they around it thrones, two and thirty, places for each of the Children of Light, placed so that they were bathed in the radiance, filled with the Life from the eternal Light. There time after time placed they their first created bodies, so that they might be filled with the Spirit of Life. If you have connected well with the Halls of Life through Thoth’s words, perhaps you’ll also enjoy the communion and guidance of Goddess Isis. The invocation of Isis under the Isis Sirius Alchemy Healing Program is intended to connect the initiate to the same Halls of Life, the source of Life and Light lying deep in Earth’s body. Go to Self-Study Program for more information. Wishing you a Full Moon of abundant healing and expansion. Namaste! Amara Tia Ann.